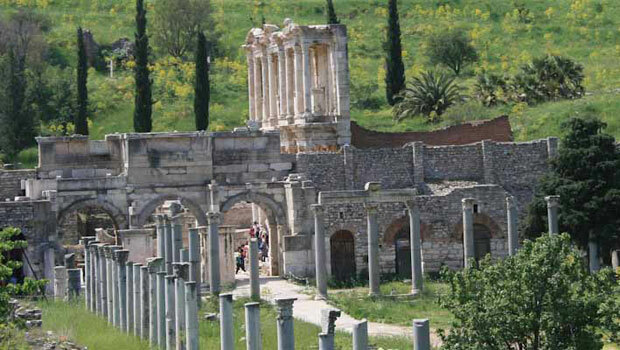 Ephesus was also a tourist destination of Asia Minor when it was inhabited. For more than 13 years, Authentic Holidays has been creating unforgettable Turkey travel experiences. Every member of the team has lived in or visited this intriguing destination. Each has a deep travel passion and desire to share with you the very best of Turkey. Your hopes for this tour are important to us, so we’ll be using all our skills and experience to fulfil every need. We know that everyone has different ideas about what makes a great holiday. That’s why Authentic Holidays offers such a wide range of tours. Amongst our tour products you’ll find varied service levels, popular and out-of-the-way destinations, active or restful itineraries and much more. So whether you’re planning to visit Turkey for three days or three weeks, we have your tour. Typically, a private airport transfer is included with each tour, regardless of your arrival and departure dates. Business class passengers enjoy this service within Australia also. Authentic Holidays also incorporates admission fees for the carefully selected highlight included in your itinerary. So you don’t encounter unexpected expense or miss opportunities during your tour. Authentic Holidays adapts our skill and knowledge to suit sole travellers, couples, small and large groups. We offer full agency service or simply service the gaps in your travel arrangements. Wherever possible, your special needs will be accommodated and we ably coordinate arrival and departure of multiple group members from diverse points of origin. Authentic Holidays wants your tour to blend close cultural encounters, delectable new flavours, amazing fun activities and quietly classy accommodation. Our Small Group Tours feature authentic accommodation in exceptional locations. All feature private amenities and minimum deluxe standard, you’ll slumber in converted mansions, cave hotels and grand international chains. Many of our small group tours focus around a special interest.